This book examines and systematises the theoretical dimensions of paradiplomacy - the role of subnational governments in international relations. Throughout the world, subnational governments play an active role in international relations by participating in international trade, cultural missions and diplomatic relations with foreign powers. These governments, including states in the USA and landers in Germany, can sometimes even challenge the official foreign policy of their national government. These activities, which are regularly promoting the subnational government’s interests, have been labelled as ‘paradiplomacy’. 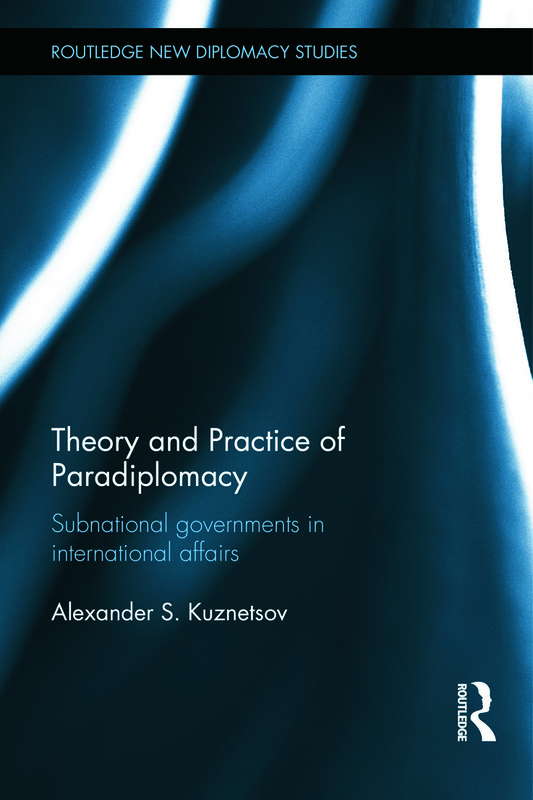 Through a systematisation of the different approaches in understanding constituent diplomacy, the author constructs an integrative theoretical explanatory framework to guide research on regional governments’ involvement in international affairs. The framework is based on a multiple-response questionnaire technique (MRQ) which provides the matrix of possible answers on a set of key questions for paradiplomacy scholarship. This comprehensive analysis of the phenomenon of paradiplomacy sheds light on the development of federalism and multi-level governance in a new global environment and contributes to the debates on the issue of 'actorness' in contemporary international affairs. This book will be of much interest to students of diplomacy, federalism, governance, foreign policy and IR, as well as practitioners of diplomacy. Alexander S. Kuznetsov is the Regional Manager (Europe) at the University of Alberta, Canada and has a PhD in Political Systems and Institutional Change department from IMT (Institute for Advanced Studies), Lucca, Italy.